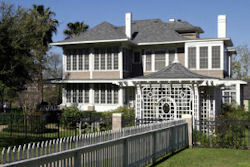 The Heritage Society was founded in 1954 by renowned Houstonians Faith Bybee, Harvin Moore and Marie Phelps in order to save the 1847 Kellum-Noble House from demolition. They had one goal in mind: preserve the hastily disappearing past of this great city for the education of future generations. The Heritage Society is the city's only outdoor, interactive historic museum and park. 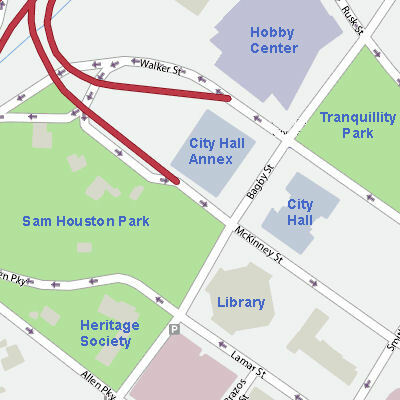 Nestled in 19 acres of beautiful green parkland in the heart of downtown Houston, The Heritage Society boasts eight historic structures dating from 1823 to 1905. Each historic structure is authentically restored to reflect its original magnificence. Each year, The Heritage Society hosts countless school-aged children and visitors from around the world. Folks come from near and far to learn about the families and the lifestyles that inhabited these historic homes - what life was really like in frontier times for early settlers in Houston.